Although most of us love to have the companionship of a dog, the truth is, not all of them come cheap. While there are plenty of us who can either adopt a stray or go down to our local shelter to pick one up, some of the breeds out there come at quite the asking price. So next time you’re thinking about getting a pup to hang around the house or go on a jog with, remember to do your homework on how much that specific breed will set you back. Some of the most powerful dogs around, rottweilers and both intelligent and patient at the same time—assuming they’re raised and disciplined right. Protective of their owners, rottweilers might get a rep as being overly aggressive, but because of their smarts, they are often used by police officers and public servers to assist in a variety of tasks. Lowchen translates into “little lion” in German—and there might not be a more appropriate definition for a dog. Though small, lowchen’s have tons of hair and lots of energy, actually being some of the most nimble and agile of any breed. 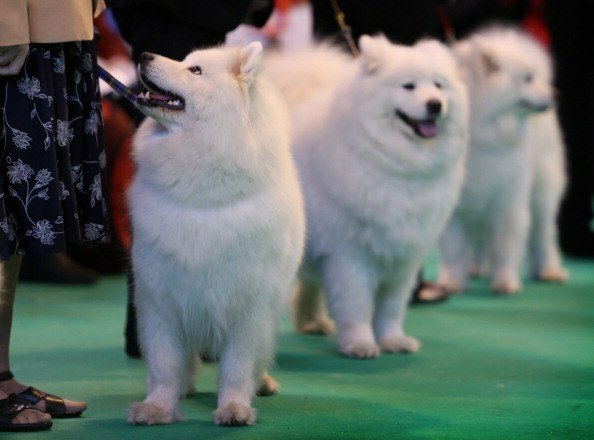 Known as a working dog from their power and sturdiness from the Arctic weather they generally reside in, chow chow’s are some of the most popular breeds festered in dog shows. For that reason—along with its rare, blue or black tongue—these dog come at a pretty high price. For as expensive as these guys are, english bulldogs actually aren’t as cheap as one might think. Both lovable and gentle, one of the most popular dogs in the United States carry a hefty price tag, yet still are well-received by their owners. For all those who live in cold-weather climates, a samoyed might just be the best option for you—just beware that they don’t come inexpensive. Best-known for their bright, furry white coat, these dogs can cost as much as a pretty nice used car, so you decide which you would rather have.